05:43 on 18 April 2013 . Westeros and Essos are recreated in a high degree of detail. 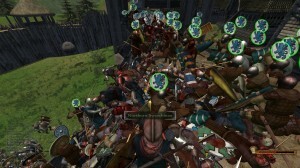 There is something about Mount and Blade: Warband that warms my heart. It’s one of those games that is heavily flawed and drives me crazy sometimes, but is still so fun and addicting. Earlier this week I downloaded the Clash of Kings mod, a mod based on George R. R. Martin’s Song of Ice and Fire book series. Nobody parties like a boarding party. The main change that the mod brings to the table is a complete overhaul of the gameworld. Gone are the Rhodoks, Vaegirs, and Nords, and in are the Starks, the Baratheons, and the Lannisters and every other family in Westeros, or even across the Narrow Sea. The North invades the Vale. It’s totally canon guys. The game map has also been completely reworked to represent every city, castle and holdfast in Westeros and even parts of far-off Essos. Needless to say, there is plenty out there to conquer. Each of the factions has its own unit upgrade tree, giving them the advantage in different kinds of battles. 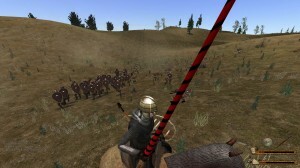 The North, for instance, has few missile troops, but strong heavy cavalry and melee. Each faction’s units have been customized and give them a distinct flavor. Let me tell you, you do not want to get on the business end of a Vale heavy cavalry lance. Ouch. 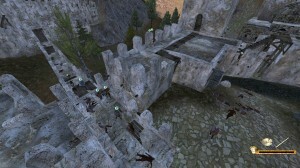 The archery buff combined with the new siege maps adds a significant challenge. The mod comes with a plethora of new battle maps as well. 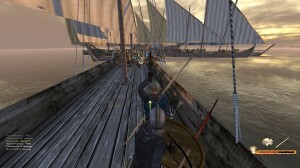 You get everything from rolling hills to flatlands to castle sieges and even boat-to-boat combat. 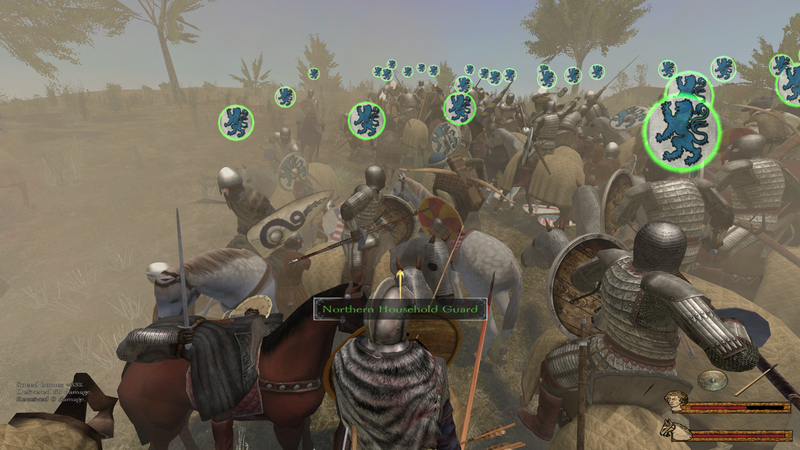 The new sieges in particular are brutal; one mission had my troops assaulting a U-shaped castle with archer fire raining down from all three sides. It got ugly. While it is possible to slowly lance down groups of enemies like this, I don’t recommend it. Like in the original Mount & Blade , you create a character, assign some attributes and skills, and then you are dropped off in an open world, where you can do whatever you’d like. You can join tournaments, woo eligible maidens, and, of course, engage in battles. That said, going it alone is just about impossible. I tried playing this way for the first few levels of play and it was absolutely brutal. Even on the easiest difficulty setting you’ll be running into dozens of packs of bandits, all armed with clubs and super-charged longbows (Maybe it is just me, but I swear the arrows move at speeds that would make the space shuttle jealous). So you’re going to need a party. You’re going to need a warband. You’re going to need an army. The battles are hectic and awesome, just like vanilla M&B. One thing that I think is odd about the mod is the way that diplomacy works. You can strike it out on your own and build your own kingdom, or you can do as I did and swear your fealty to one of the major factions. I chose to follow Robb Stark, the King in the North! Huzzah! Each lord musters up their own forces, then joins together in a proper army. Once you become a bannerman, you will be bound by the diplomacy of your liege. 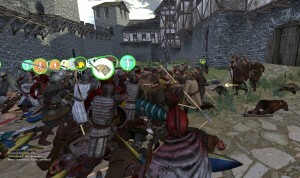 You get called to wars and will be expected to bring a certain number of troops to the fray. 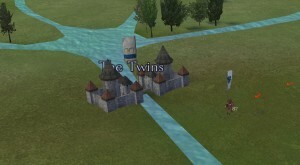 And when the massed armies capture castles, you can try to smooze the other lords or the King and get the castle bestowed to you, giving you a significant boost to income. 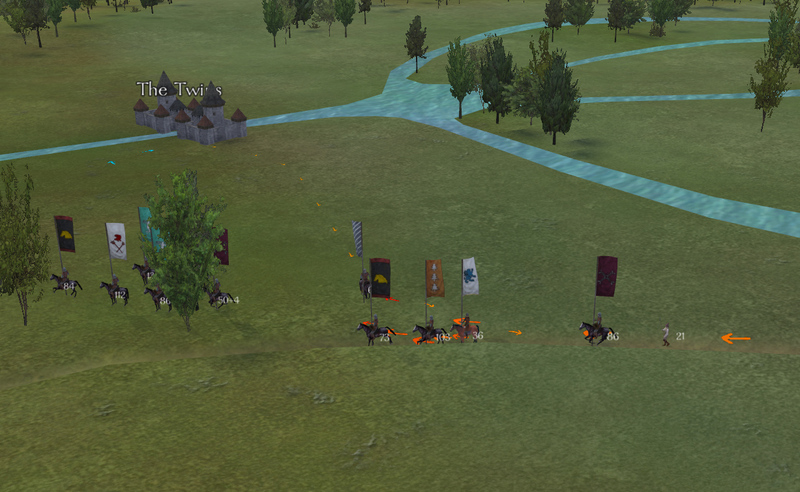 The Vale fails at retaking Sisterton. This model is pretty fun and gives you a reason to cultivate good relations with other lords, not only within your faction but also with other factions. All would be fine, except that the every now and then the entire world explodes and pretty much every faction declares war on every other faction. It’s quite strange and it breaks the immersion and is totally non-canonical. For my campaign, I have started a warrior with a focus on horse riding, and skills with archery, lance, spear and ax. The family arms feature a blue lion rampant on a snow-white field. I’ve decided that I will only recruit troops from the North, at least for the time being. My first conquest was Sisterton, which the Vale had taken from the North. Taking island of Sisterton proved my worth, and Robb Stark allowed me to swear an oath of fealty. 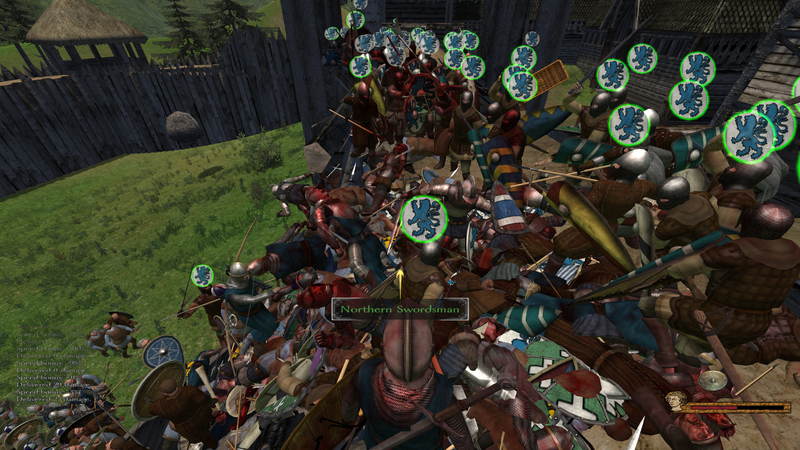 The entire Vale launched a campaign to retake the island, but my gallant forces repelled them… with weapons. Next, I waged a brutal campaign against the Vale itself, landing in the northern shores and taking three castles. The Vale knights proved the most dangerous opponents when engaged in pitched battles, but they did not do as well in sieges. I was poised to push deeper into the Vale but then the Vale sued for peace. The North will return. 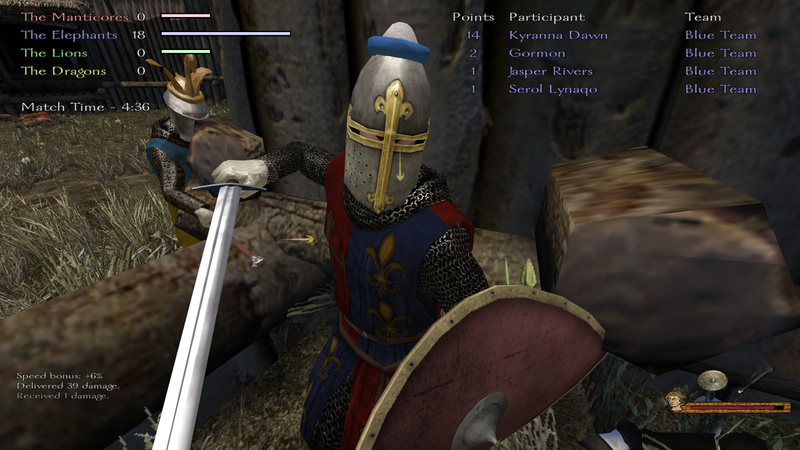 Taking Riverrun was one of my most difficult fights so far. 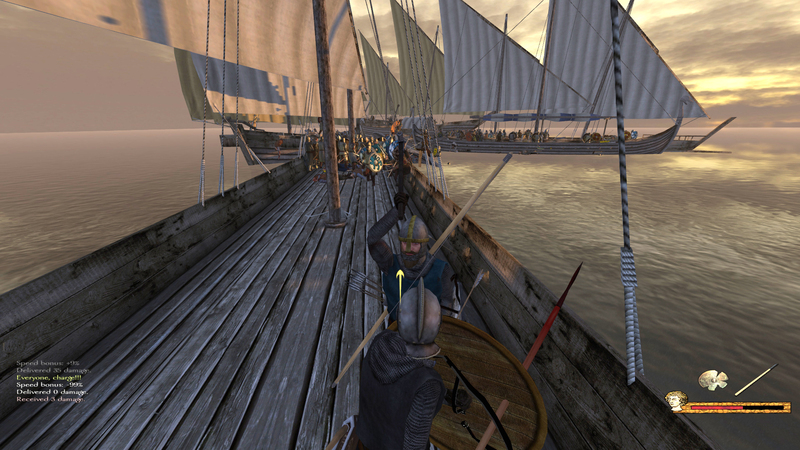 The Young Wolf was restless however, and we soon found ourselves at war with the Riverlands. And that meant killing Freys. I gathered some more forces and moved down through the Neck, and immediately besieged the Twins, storming the walls and smashing the Frey’s power base. And nothing felt as good as crushing the Twins. With the Twins securely in the North’s possession, the army could pass through and take Riverrun and Seagard, which were no match for the combined might of the North. So far, everything has been going according to plan. You seem to be playing an old, outdated, version. Oh, great! I found that there is a version 0.9 that was released last week. 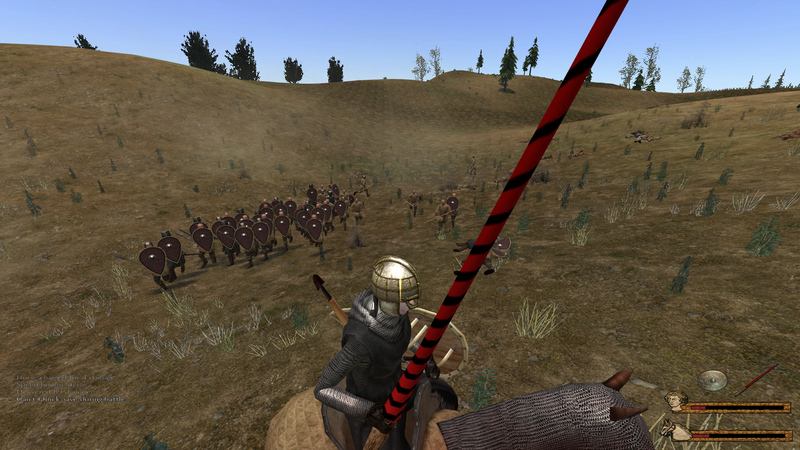 I’m running Clash of Kings v0.6 for Mount & Blade: Warband v1.154, so it should be a big step up in features. Ah yeah, Warband is one of my all time favorites. I downloaded this a month or two back and had a lot of fun. I immediately joined up with the Lannisters after collecting some taxes for him, built an army, and took over Lorath entirely. It’s definitely a lot of fun. I typically end up going heavy into riding and horse archery. There is something so satisfying about riding right past a knight and putting an arrow between his eyes! I love breakfast foods also. I’d eat breakfast all my life for every meal. Can you also enlist in armys with your version? Yes. As you gain renown (from winning battles, being assigned castles, and so forth), your maximum party level increases. 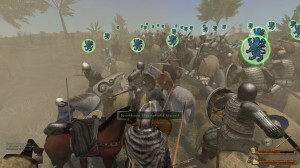 In my current game on Clash of Kings 0.9, my character has had armies just under 400 units. However, not all of them can be present on the battlefield at any given time. As your units are killed, more troops will arrive in reinforcement waves. It’s still quite epic and awesome, though.